It’s pretty huge. The first crypto on Facebook is Litecoin. This opens the door to a user base of around 2 billion people, all over the world. It’s also only the beginning for us. We have big plans in store! The main point is to bring Litecoin to the people who don’t have access to it by ordinary means like we do. Our ecosystem enables banking empowerment to the whole world, connecting every network, including phone numbers via SMS and soon USSD, to people with restricted access to the internet or technology. Also by connecting everybody in first world countries to their platform of choice, it makes it easier to send Litecoin. Instead of knowing someone’s Litecoin address, which is cumbersome to some users, you can send to someone with just their email address or phone number in mind. Way easier. And soon we will enable invoices, which will make accepting payments for merchants easier than ever. Stay tuned! LiteIM is the first Crypto wallet to land on Facebook messenger after seeking and getting approval from Facebook themselves. This is a very positive sign, not just for IM but also for crypto in general. Following their outright ban on cryptocurrency advertising, Facebook now seem to be warming to the technology. 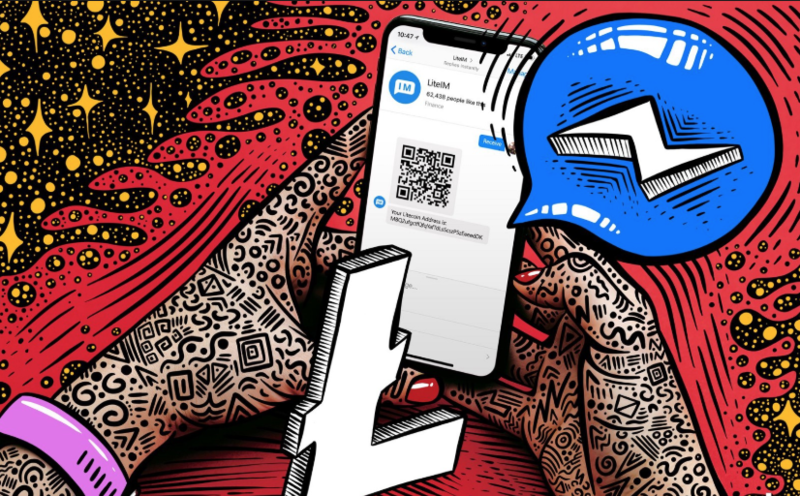 Zulu Republic, the Company behind LiteIM have expressed plans to support all large social media platforms where possible and bring Litecoin to the people. Thus, Zulu are proactively pushing Litecoin adoption rather than waiting for users to leave their platforms with which they are familiar. LiteIM does not control users private keys, meaning the individual maintains full control of their own funds. LiteIM combines many benefits of a centralized platform such as interoperability along with a user centric wallet which appears to be growing as the team behind it bring new developments to the platform.